What is a gesture? 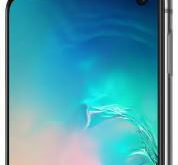 Gesture is useful to quickly show notifications using fingerprint sensor, open camera or switch camera mode and check other notification messages in your device. 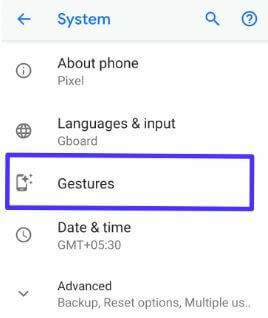 You can see several gestures on Google Pixel 3 XL 9.0 and other devices. But in this tutorial, I’ll show you how to enable fingerprint swipe gesture on Pixel 3 Pie. 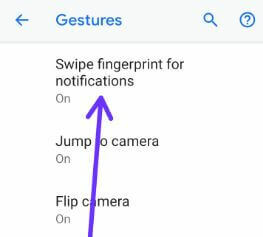 In latest Pixel 3 and Pixel 3 XL gestures settings, you can see Active edge, Swipe fingerprint for notifications, jump to camera, flip to camera and prevent ringing. By default turn off fingerprint scanner gesture in your android Pie, Oreo and other devices. Let see step by step process to enable fingerprint swipe gesture on Pixel 3 and Pixel 3 XL Pie. When turn on fingerprint swipe gesture on Pixel 3 XL and Pixel 3, just swipe down on the fingerprint sensor on the back of your phone and you can see notifications you receive. 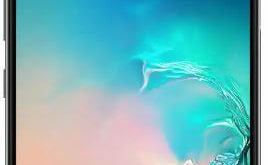 Check out below given settings to activate fingerprint swipe gesture on Pixel 3 Pie. 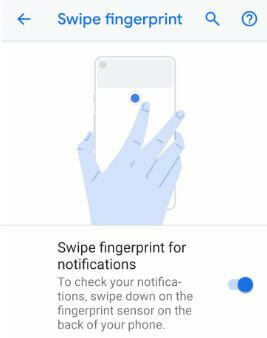 Now you can quickly access notifications message using fingerprint scanner in your Google Pixel 3 and Pixel 3 XL. You can also check notification using Pixel 3 Ambient display settings. 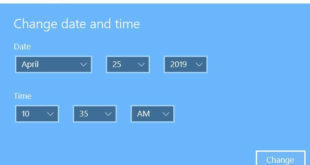 Here you can see below given settings that helpful to quickly show notification on lock screen or always on display. Just double tap on your Google Pixel 3 screen to quickly see message notifications you missed. Just pick up your Pixel 3 and Pixel 3 XL device to quickly view received lock screen notifications. You can easily show notifications on lock screen or always on display on Pixel 3 and Pixel 3 XL using this setting. And that’s all. We hope above given tutorial helpful to enable fingerprint swipe gesture on Pixel 3 and Pixel 3 XL Pie. If you have any question, tell us in below comment box. Stay and connect with us for latest updates.